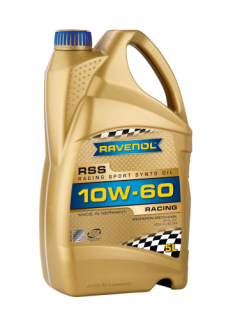 RAVENOL RSS Racing Sport Synto 10W-60 is a fully synthetic multigrade engine oil for modern gasoline engines based on the highest quality Ester and Poly-Alpha Olefin synthetic technology. Specially formulated for use in competition and motorsport engines operating in the most arduous of conditions. 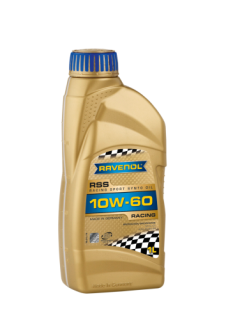 Its high viscosity index, tremendous shear stability and highly effective additive package ensures that RAVENOL RSS Racing SportSynto 10W-60 allows maximum performance at the same time as providing optimum protection against wear, foaming and corrosion, even at the very highest operating temperatures.